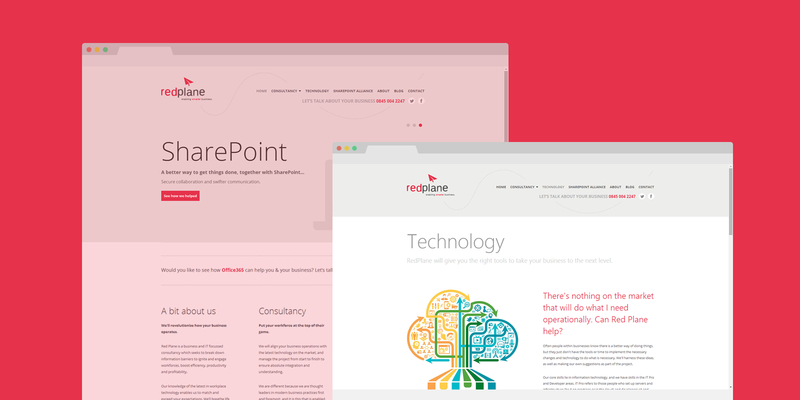 We have also recently partnered with Red Plane after successfully lauching their company & fresh new brand, we took SharePoint 2013 designed and branded it for their brand new website relaunch. 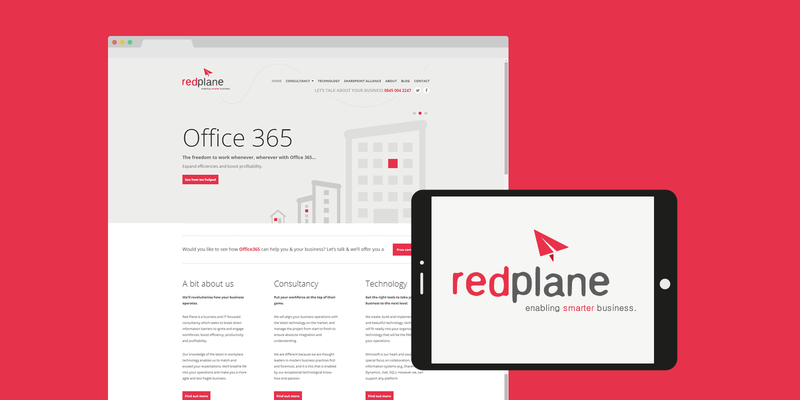 Red Plane was a re brand of the previous entity SharePoint Studio, with no trying to pigeon hole themselves to a technology they required a re brand to make their change in direction. Working closely with Mark Stokes - SharePoint MVP we ran a series of workshops & branding session to eventually produce the new Red Plane logo, print material & website. We worked with Red Plane to create a brand that doesn't align themselves with a specific industry. We therefore created a logo, colour palette, and type style that was something different in a IT focus industry. We built the entire website and blog in SharePoint 2013 on the Office365 platform. This was crucial as part of the promotional aspect of selling Office365 to potential clients. We created a masterpage & a range of page templates. We have assisted RedPlane with all their marketing materials such as pop banners, promotional documentation & email mail shots as part of their marketing plan for the coming year. We continue to work with closely with the RedPlane team to help them expand their customer base, their reach and optimise their service offerings. We also work with them on bringing potentially ideas & events to life. More recently RedPlane & ourselves have partnered up to offer our design, creative & branding services to all of Red Plane clients. We also offer our creative SharePoint design & branding services. Red Plane is now an established IT company offering a wide range business tools all based around the Microsoft Office365 frame work. The brand has been tailored to not alienate IT professionals or corporate clients but to show them they are an approachable friendly company that want to work with you. The website has a fresh, client look and feel to ensure content is readable with a bit of "design agency" feel to it. "The guys at PinkPetrol are talented group of creative people that have helped bring the company branding, materials & website to life. Our recent partnership is as strong as ever & now we're working together on many many SharePoint projects!"